25 Reviews of Christmas #17 - "Santa Claus is Coming to Town"
Welcome to the 25 Reviews of Christmas here on www.jonathanlack.com! As explained in this post, I’m devoting the first 25 days of December to celebrating great Christmas movies, TV shows, specials, songs, and albums, with a Christmas-related review posting every single day for 25 days! Today, we’re looking at a special I’m sure everyone’s familiar with, “Santa Claus is Coming to Town,” featuring Fred Astaire as an arguably creepy mailman and Mickey Rooney as a young Saint Nick! Remember to visit this page at any time for a collection of all 25 Reviews of Christmas articles. 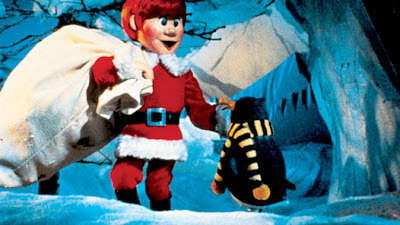 Rankin/Bass’ “Santa Claus is Coming to Town” may be the definitive ‘Santa Claus’ movie; in less than one hour, it tells the entire story of the Jolly fat man, from birth to his first Christmas at the North Pole, mixing elements of the historical Saint Nick in with lots of original, creative material. Like most Rankin/Bass specials, the titular song is just a springboard for a larger narrative canvas, and if “Coming to Town” is one of their cheesier specials, it’s also one of the most heartfelt, putting more weight and meaning behind the Santa legend than most Christmas stories. The TV special takes place in a small town where the Burgermeister (surprisingly, that’s not 60s cultural insensitivity – in German, Bürgermeister really means mayor or, more accurately, ‘master of citizens’) rules with an iron fist and has outlawed all toys and presents. Why? Because he’s German and German people are angry, I guess (that really is 60s cultural insensitivity, as Burgermeister is the only one with an accent). Kris Kringle, a baby born to an elf family who has helped make toys all his life, decides to make use of his adopted family’s trade and delivers toys to the cheer-deprived village. He ends up challenging the villainous Burgermeister, falls in love, and ultimately spreads his talents worldwide as Santa Claus. Through a very cheesy but undeniable fun structure wherein a mailman answers children’s letters to Santa, the special questions every element of the Santa mythos and provides an answer to it; those answers are all thoughtful and creative, and the seamless narrative web they created is what makes this special so memorable and iconic. We learn where the elves came from, how Santa got his suit, the origin of going down the chimney, the basis of his relationship with Mrs. Claus, how he knows when you’re naughty and nice, the flying reindeer, etc. Every answer feels genuine and they all fit together like a complex but rewarding puzzle. Though there are dozens of cheesy moments scattered throughout – especially when the special stumbles into melodramatic territory – Rankin/Bass also manages to find some very honest and warm moments of pathos. To me, the scene that epitomizes the entire special is the “Sit on My Lap” song; not only does it provide a heartwarming origin to why children sit on Santa’s lap, but it adds depth to the Kris’ character. From that moment on, we’re on board with his crusade because there’s a clear emotional entry point – these kids need the kindness and generosity Kris has to offer. 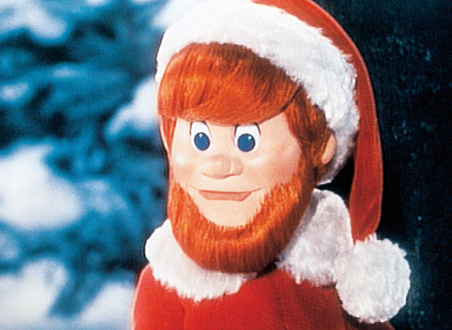 Every Rankin/Bass special is marked by great characters, and “Santa” has the best cast of them all. 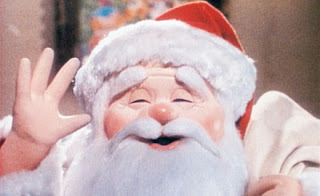 Mickey Rooney is a perfect Santa, possessing a warm and endearing yet recognizably human quality rarely matched by screen-Santa’s. The elves, always well done in a Rankin/Bass special, contain more plot relevance than ever here. Then there’s Jessica, Kris’ sweetheart and chief architect of schmaltz-related-cheese, and the Burgermeister himself, a terrific, if somewhat stereotypical villain. My personal favorite character is the Winter Warlock, who helps Santa see if kids have been naughty or nice. 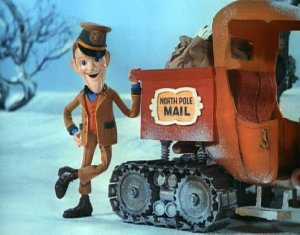 Of course, the most iconic part of the special (perhaps of any Rankin/Bass production) is Special Delivery Kluger, voiced by Fred Astaire, who answers the children’s letters. I’ll admit I can’t think of Kluger without remembering South Park’s memorable parody of the man in “Mr. Hankey’s Christmas Classics,” but he’s still a terrific narrator, iconic for good reason. 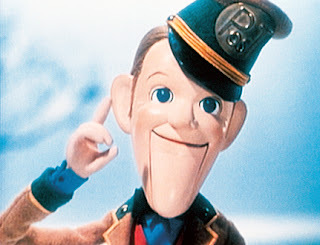 The stop-motion in the special hadn’t yet reached the pinnacle that Rankin/Bass would eventually achieve, but it is more advanced than in earlier productions like “Rudolph,” and is, as always, fascinating to watch. The music is memorable and often goes for a touching, emotional effect rather than a humorous one. This doesn’t always work in the film’s favor – Jessica’s big solo brings the film grinding to an uncomfortable halt – but the music is full of heart, and in the end, that matters the most. The same can be said of “Santa Claus is Coming to Town” as a whole. It doesn’t hold up nearly as well as “Rudolph” or “Year Without a Santa Claus,” but it’s still a darn good Christmas tradition. If only modern Christmas movies were this creative with the Santa mythos, then we wouldn’t have to look to the past for our Yuletide entertainment.